Q: I want to perform a fresh OCR of all pages. Some pages already have invisible text, how can I remove these text and OCR again? A: This option is available in PDF Studio 12 and above, it will removes any previous OCR text that has been added to the page. 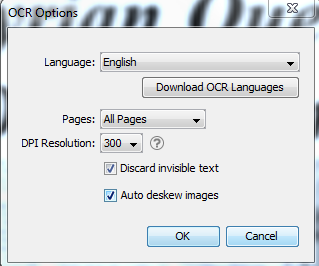 PDF Studio will then remove any previous OCR text on the page and run OCR again.